prefer open, coniferous or mixed forests resplendent with rhododendron and bamboo. 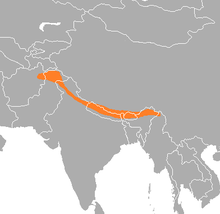 Himalayan monal is a high-altitude bird, remaining between 2000 and 4500 meters above sea level. The MGC is also indicative of the cultural and commercial linkages among the member countries of the MGC down the centuries.